Your insurance plan is as good as its coverage. The last thing you want to hear is that your insurance provider will not compensate you for a lost car because the policy you purchased does not provide coverage against theft. You will need to do some homework when purchasing a plan. Learn about various plans provided by different firms to determine the most appropriate insurance that provides adequate coverage based on your needs. No one wants to strain when it comes to purchasing insurance. You may need insurance that you can purchase at the comfort of your home. Does the plan contain things like online bill pay and online claim reporting? If the answer is “yes,” then the insurance is easily accessible. Trying to buy what you cannot afford can only land you in financial problems. Remember, insurance is there to make your life comfortable, not miserable. The cost of insurance should be within your means. Have you ever heard about “the power of referrals?” It can be handy when it comes to choosing your insurance. 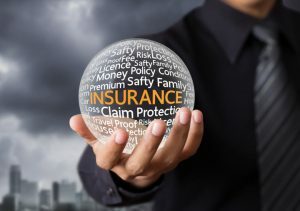 Yes, every person has their own insurance needs, but what people say about a particular insurance plan has a significant impact on your decision. Seek information from your friends, workmates, and relatives who have purchased insurance in the past. They are better positioned to refer you to a suitable plan that meets your needs.